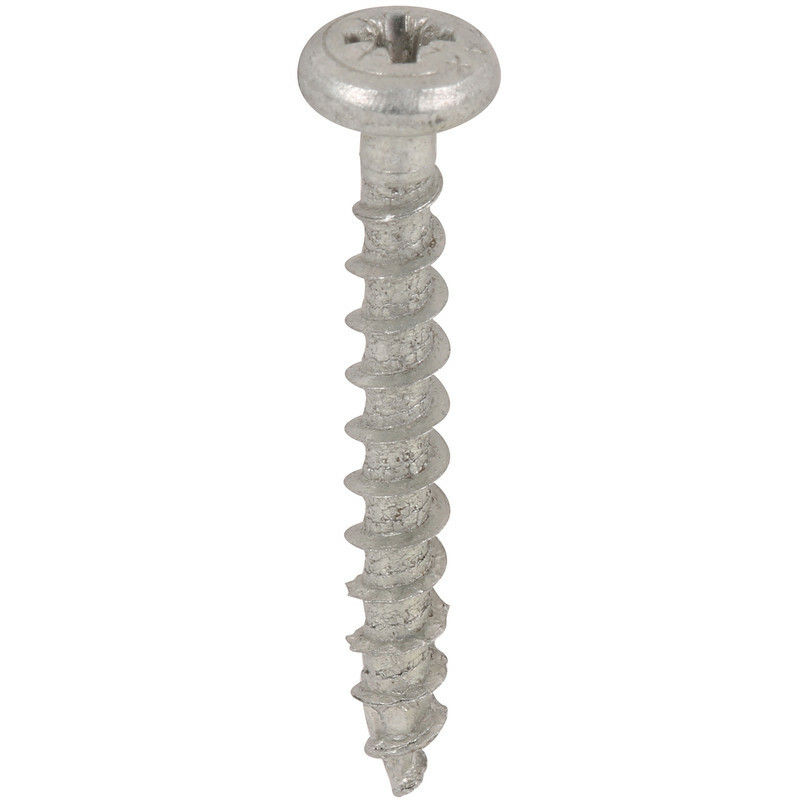 Screw lies visible and flat on the surface of the material. No pre-drilling (wood dependent). 4CUT point ensures exact screw positioning, reduces splitting and reduces the torque required. Quick and secure fastening. Pozi bit recess.